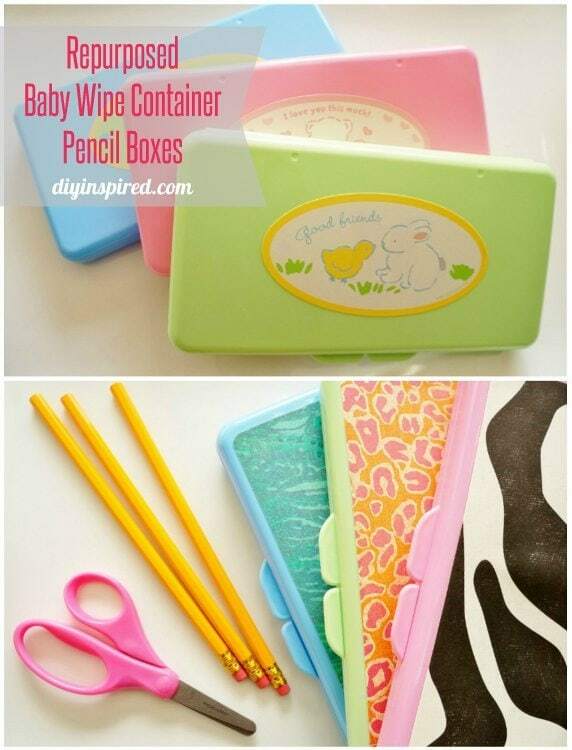 This article, Repurposed Baby Wipe Container Pencil Boxes, is sponsored by Fiskars. All opinions are 100% my own. Every year before the kids go back to school, my best friend has a craft night with her daughters and they embellish their new pencil boxes. Now that Mia is in school I thought it’d be fun to start the same tradition with her. 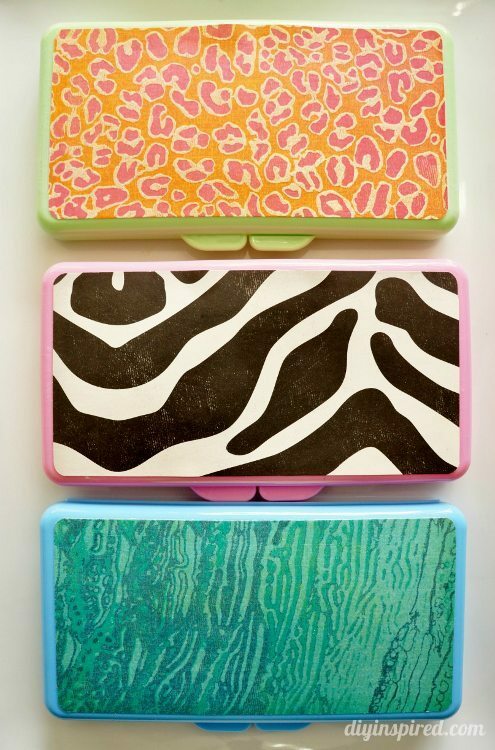 I found some baby wipe containers at a local 99 Cent store and thought they’d make the perfect pencil boxes, and they did! So, in honor of an upcoming Back to School Twitter chat with Fiskars (I’ll tell you about it in a minute), I got some of her friends together for a little crafty play date to make these. Here is how we did it. 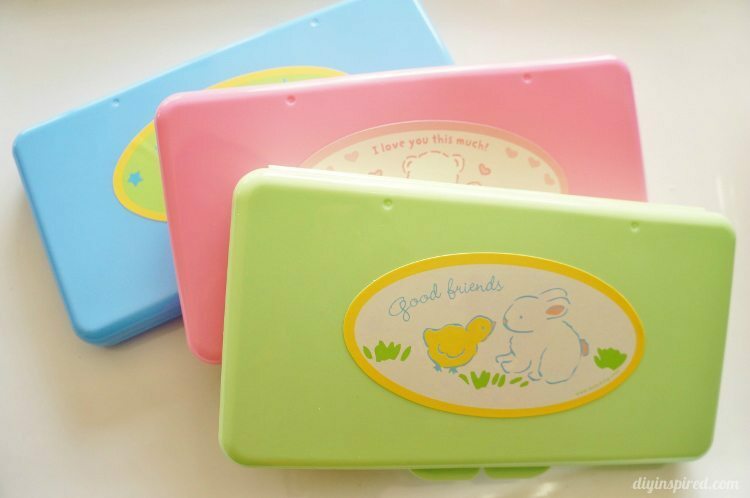 Here are the baby wipe containers. I bought different colors for Mia and her friends. 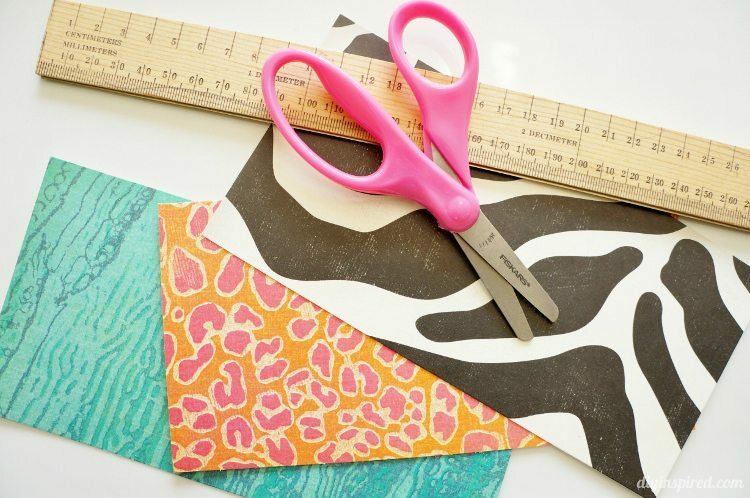 The girl’s ages are five to seven, so this easy back to school craft was perfect for them. We picked some scrapbook paper that would coordinate with the boxes. 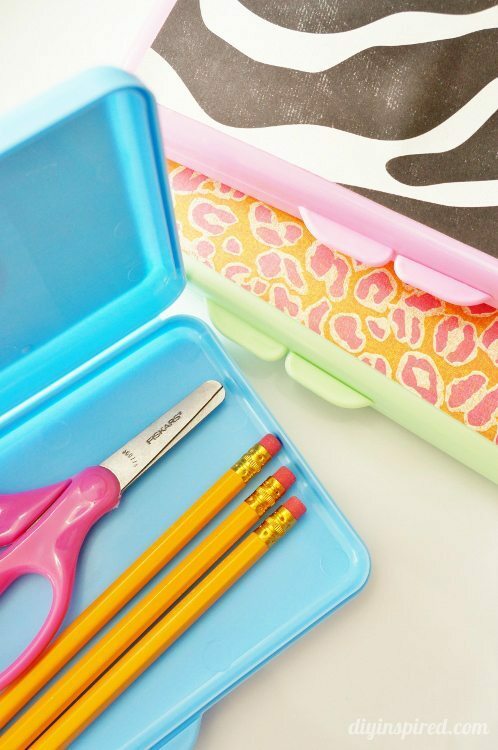 These fun animal prints we decided on were less “baby” and perfect for school. I had the girls measure the boxes with a ruler and then mark, measure, and draw a rectangle with the straight edge. The girls cut out the rectangle with their Fiskars kid scissors. 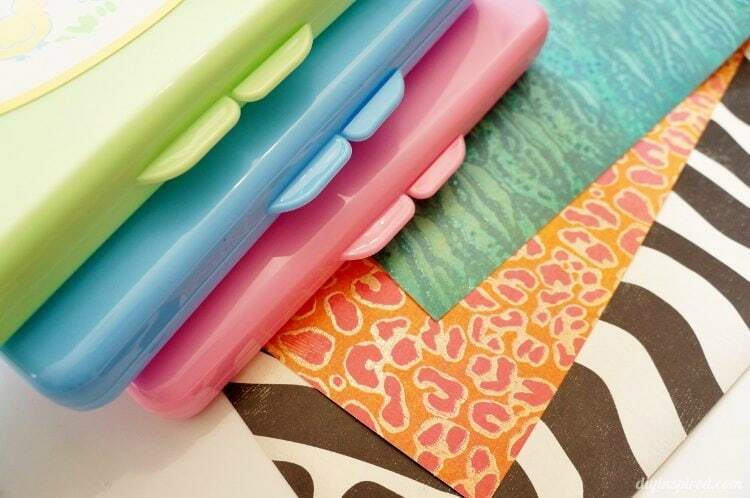 These are great for my piece of mind because of the safety-edge blade, but my girls love them too because of the comfort and not to mention the fun shiny colors! Next I had them use the rotating corner squeeze punch on each of the four corners. This tool is awesome, by the way. I was so excited about it that I posted it on Instagram. 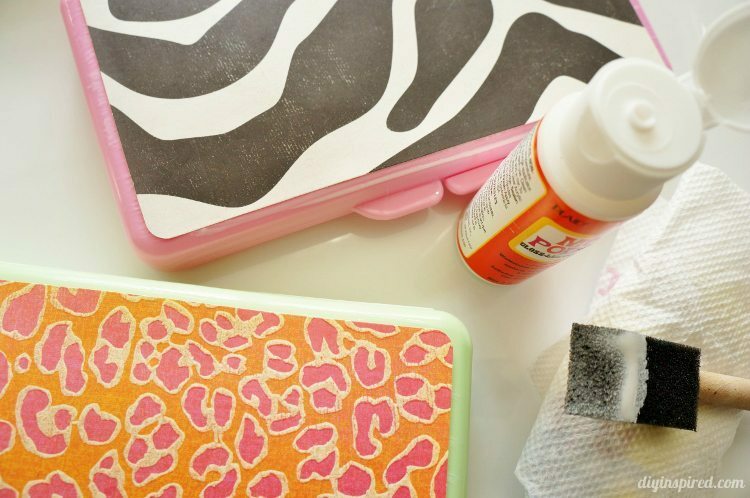 Lastly, they painted Mod Podge onto the tops of the boxes and glued the scrapbook paper on top. We had every intention of embellishing these boxes with rhinestones and fun shapes but we ended up liking the boxes as is! They turned out great! 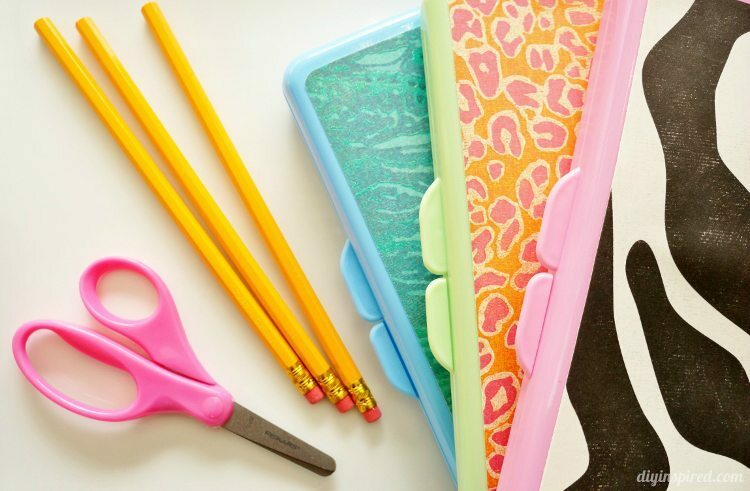 Also check out these back to school crafts with Fiskars here on DIY Inspired, Washi Tape Pencils and Notebooks and Back to School Hand Sanitizer. Looking forward to chatting with you next Thursday night! such a cute idea!!! I think my kids would love to make these!! Thank you, Emily! So easy and fun! Great idea for a recycled project! Thank you, Virginia! It was a lot of fun.